Sandblasting or bead blasting is a generic term for the process of smoothing, shaping and cleaning a hard surface by forcing solid particles across that surface at high speeds; the effect is similar to that of using sandpaper, but provides a more even finish with no problems at corners or crannies. Sandblasting is a result of particles blown under pressure causing aeolian erosion. Sandblasting equipment typically consists of a chamber in which sand and air are mixed. The mixture travels through a hose and a hand-held nozzle to direct the particles toward the surface or workpiece. Sandblasting can be done dry or with water injection to prevent dust.Wet blasting is mostly used for removing paint from housewalls. Paint and varnish removal on wood. 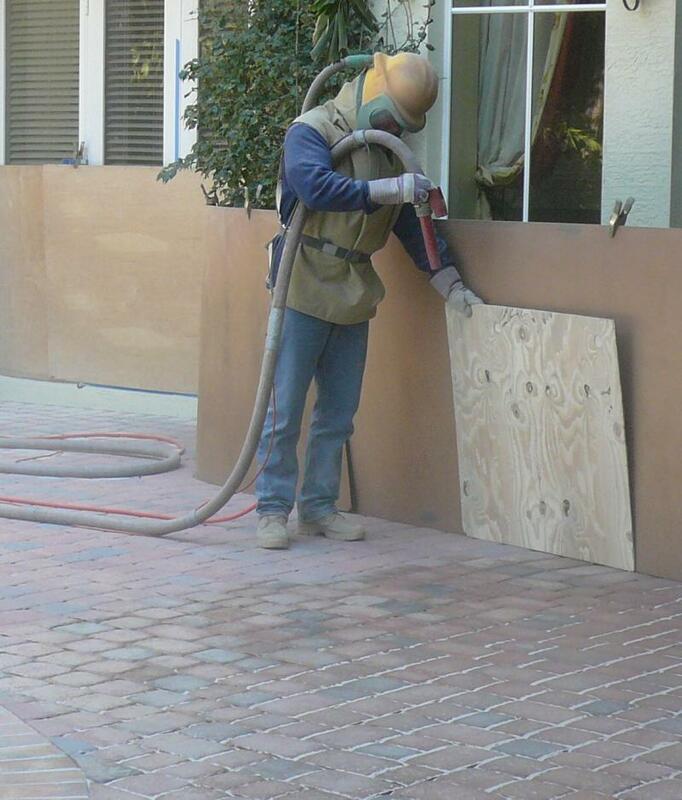 A & B Sandblasting, Inc.
quality and timely completion of work!"